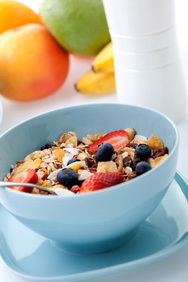 With non-communicable diseases on the rise, and many Europeans skipping breakfast, the Breakfast is Best campaign is calling on stakeholders across Europe to address the importance of breakfast in healthy lifestyle choices and combating health inequalities. The Breakfast is Best campaign – a multi-stakeholder science-based campaign involving Europe’s dieticians, doctors and the breakfast cereal industry (CEEREAL) – has launched the “Make Time for Breakfast Pledge”, calling on Europe to do more to encourage its citizens to have breakfast every day. Make Time for Breakfast and sign the pledge! Together, our objective is to ensure that by 2020 all EU countries stress the importance of eating breakfast in their nutrition policies, and monitor breakfast consumption as a key health indicator. You can show your support today by signing our “Make Time for Breakfast Pledge”, which calls for action by policymakers across Europe in order to improve rates of regular breakfast eating. We have already reached 500 signatures! Our goal is to reach 600 signatures by the end of 2017. You can find the full text of the pledge and sign at www.breakfastisbest.eu/pledge. Today on the 6th of December 2017 Breakfast is Best launches its 70-page comprehensive report, The Importance of Breakfast in Europe: A Review of National Policies and Health Campaigns on the occasion of a EURACTIV Stakeholder Workshop entitled “Promotion of healthy diets in the EU: What role for breakfast?”.